UH-Clear Lake Professor Dr. Daniel Silvermintz, who has authored many academic articles over the years, has recently penned his first book, about the ancient Greek philosopher Protagoras. 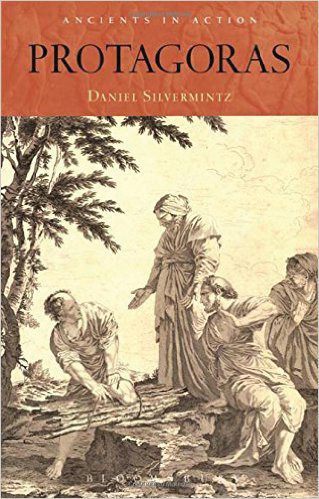 “Despite being one of the most important figures in the history of political thought and philosophy, this is one of the few books written about him and the only work aimed at a wide audience,” Silvermintz explains, adding that Protagoras is universally recognized as the first philosopher to defend democracy. Silvermintz, an assistant professor of humanities who has taught at UHCL for the past 12 years and instructed some 2,500 students, received the prestigious Jerry G. Gaff Teaching Award presented by the Association for General and Liberal Studies in 2009 to recognize his innovative teaching strategies. He has a diverse academic background with advanced degrees in philosophy, sociology and political thought and was a visiting scholar in the Critical Theory Institute at the University of California-Irvine.